To write a hurried review, file a hasty obituary, to state the same platitudes across all media is to simply check a box on a checklist but, to step back and reflect on the passing of a great star that will continue to embellish the Dharmic firmament of our country is to be true to the Dharma of this land. To see reviews and articles “mourning his death” would be funny if it were not so tragic – for this was not a death like we understand it in the normal sense that it be “mourned”. This was the flight of the lone to the alone, the melting of the atman into the eternal paramatman, the culmination of nine decades of Sanyasa-sadhana, of the sublimation of unbroken dharana-dhyana in Samadhi – a moment of great purport, a moment for pause and quiet reflection on an event of great significance – such a passing is celebrated and not mourned. To list his life-events in meticulous chronological order is the job of the historian, to count the number of people he fed, educated, impacted, and made a difference to, is the job of the statistician, to reduce him to an icon on a banner is the job of the politician, to box him as a Lingayat leader is the job of the sectarian opportunist, and to hail him as a secular social reformer is the job of the “Indian-secularist” a special breed that promotes a skewed form of secularism that exists only in our country but why will no one acknowledge that there lived amongst us yet another spiritual gem who was rooted to the cultural, Dharmic and spiritual soil of this country? To recognize and see in Shri Shri Shivakumara Swami, the essence of what Swami Vivekananda held as the fundamental truth of human existence, – that it is possible for the human to transcend the cage of the physical by realizing the divinity within and manifesting it through work, service, or action; is to understand what Sanatana Dharma is all about and the significance of the spiritual essence of the Yogi of Siddaganga, Shri Shri Shivakumar Swami. In a classic case of “collective-mirroring” every single review or obit’ seemed to circle around three points – that he was a “Trividha Dasohi”, a secularist, and a social reformer while forgetting to do justice to his spirituality, his deep regard for the Hindu dharma and its protection and his towering spiritual Shakthi. He was not just a social reformer, an educator, a muttadheesha – he was all of these and much, much more – a Dharmic titan, and failing to acknowledge this at a time when the Dharma is at great stress like never before is a collective failure of most commentators. He was 22 when he was initiated into Sanyasa in 1930. His Guru, Uddhana Swami ensured that he would go through a tough initiation, a hard taskmaster, young Shivanna as he was known in his Poorvashrama was made to perform all the chores and tasks at the mutt besides attending to every need of his Guru while also learning at his feet. One afternoon exhausted from the chores of the day and after having collected firewood from a hillock nearby, young Shivanna happened to doze off. His Guru called him and reprimanded him “Do you think I brought you here and gave you sanyasa so you could sleep in the afternoon? A sannyasi should not sleep during the day; it is against sannyasa dharma.” Young Shivanna took this to heart and remained steadfast even after he became the head of the mutt. 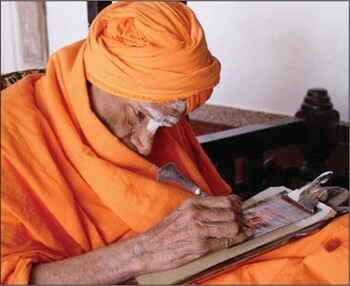 As Sri Sri Shivakumara Swamiji he maintained a punishing schedule, never slacking even as he pushed past a century working for over 20 hours a day – up at 2 AM and retiring for the day only at 11 PM. 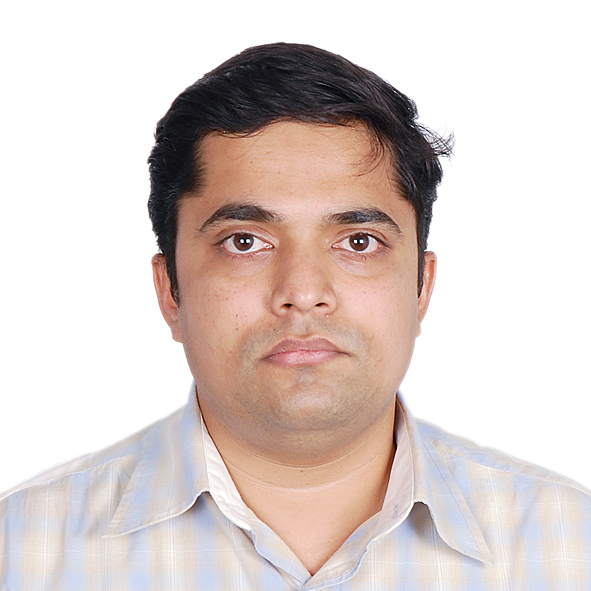 The rigorous Ishtalinga/Siddalinga puja took him three hours to complete and he would not take even a morsel of food till he had completed his puja. If he missed a puja due to travel, he would fast completely refusing to even take water. As he observed “In spite of modernization and new lifestyles, puja is the primary essence of our tradition and culture, our foundation to leading a good, purposeful, spiritual life. We must unfailingly adhere to it.” And that is what he did till the very end, even doing his puja while in hospital. He stopped consuming food (solid or liquid) two days before his Samadhi and requested that he be shifted to the Mutt. When the moment arrived he asked that the children be informed after they had eaten their lunch – such was his compassion and love for them. In fact, many years ago he had taught himself to walk softly even while wearing wooden padukas so as to not wake up the sleeping children, who he treated as the very manifestation of the Shiva he loved and worshipped every day. During this talk he also recalled the words of Sri Aurobindo and alluded to the great role that an independent and free India must play on the global stage, that in fact a free India meant a free world – India must be a guiding light, a beacon to the world demonstrating its Dharmic and Adhyatmic leadership. An examination of this speech alone should inform anyone that this is not just a “Lingayat Religious Leader” speaking by any stretch of imagination but rather a Hindu Guru expressing his concerns about the rapid decline of the dharma in the only land that it survives-in today. It helps many however to peddle a sectarian narrative and divide Hindus into little islands of insignificance and internecine squabbles. 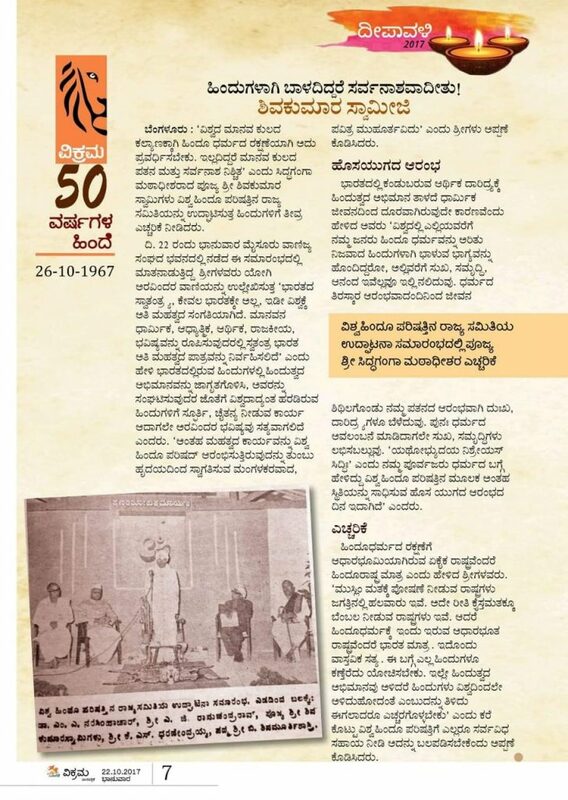 He was the “ನಡೆದಾಡುವ ದೇವರು (Nadedaaduva Devaru). Every single article both online and in the mainstream media universally mistranslated and made a mockery of this endearing title his devotees gave him into “Walking God” That is an insult to the very purport of why he was reverentially referred to as “ನಡೆದಾಡುವ ದೇವರು (Nadedaaduva Devaru)” This habit of literal-translation to English betrays the influence of western Indology which does not acknowledge the subtle nuances and expressions unique to Indian languages. What “ನಡೆದಾಡುವ ದೇವರು” actually refers to is the fact that there lived and moved amongst us an “amsha” of Shiva, one of his own “Kumara’s” who a few days ago went back to that source from where he had descended. Despite his schedule and the huge crowds that gathered every day at the Mutt, the Swamiji never refused darshan, none returned empty handed without his blessings. Devotees talk of innumerable instances when their troubles vanished or a difficult health condition improved after the Swami gave his blessings – he would painstakingly inscribe a personal prayer on copper leaves that best suited a devotee’s requirement. These copper leaves were much cherished by the devotees and treasured as they would unerringly deliver the results they sought. Shri, Shri Shivakumara Swami was many things to many people but behind it all he was a great Yogi moulded in the image of the ancient Rishis of India who by realizing his own “self” saw that very same “self” in all the people he served, inspired, and impacted. This fundamental underpinning of turning inwards, knowing “that” which dwells “within” and then expressing it “without” which is the very core of being a Sanatani was sorely missing in all reviews and tributes and that is what we wanted to underscore in this tribute.